Metro will be performing work on the Red and Orange lines this weekend. Also, many Metrobus routes will be modified due to the marathon Saturday. 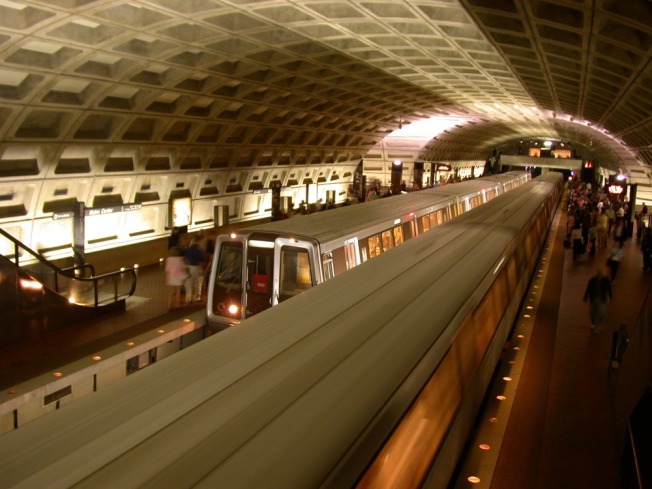 On the Red Line: Three stations will be closed: Rhode Island Ave, Brookland and Fort Totten. Free shuttle bus service will run between NoMa-Gallaudet and Takoma Metro stations. Trains will operate every 10 minutes between 9 a.m. and 9 p.m. and every 1 minutes during other times. On the Orange Line: Trains will single-track between East Falls Church and West Falls Church and between Stadium-Armory and Cheverly. Trains between Vienna and New Carrollton will operate ever 24 minutes. On Saturday, between 5 a.m. and 9 p.m., additional trains will operate between East Falls Church and Stadium-Armory. Metrorail will open two hours early Saturday, at 5 a.m., to help runners get to the race. Many Metrobus routes will be affected by road closures for the Rock 'n' Roll marathon: 32, 34, 36, 38B, 42, 52, 54, 64, 70, 74, 80, 90, 92, 96, A42, A46, A48, B2, D4, D6, D8, G2, G8, H2, H4, L2, M6, N6, P6, S2, S4, U2, U6, V8, X2 and X8. Bus passengers are encouraged to transfer to Metrorail at the first available station. Riders can ask drivers for a special transfer ticket that will let them to transfer to the rail system for no additional charge.